Jamie Harris has spent the past 20 years as a volunteer and executive officer in many not-for-profit organizations. In addition to serving as Chair of the Board of The Flea, she is currently a member of UJA-Federation of New York’s Employment and Self-Sufficiency Task Force, as well as their Manhattan Government Relations Committee. She is also a volunteer Team Leader with New York Cares. 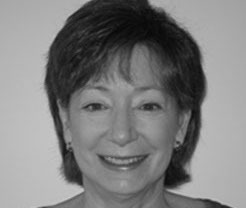 Ms. Harris served as Vice President and Chief Financial Officer of the Westchester Region of Hadassah, after a three year term as Treasurer. She also served as a member of the National Cabinet for Hadassah College Jerusalem. Ms. Harris’ other volunteer experience includes a four year term on the Mayor’s Advisory Council on Youth for the Village of Scarsdale, NY; Vice President on the Executive Board of Fox Meadow Elementary School PTA and Vice President and Treasurer of the Kensington and Chelsea Woman’s Club in London, England. Ms Harris’ professional experience includes over 10 years in finance and marketing positions in the financial services industry. Ms. Harris holds a M.S. in Economics from the Sloan School of Management at M.I.T. and graduated from The Wharton School of the University of Pennsylvania with a B.S. in Economics. She and her husband, Jeffrey Harris, have two children, and reside in New York City.